Perfect for short term promotional use at tradeshows. Yes, floor branding is a thing and with our impressive new wave logo mats, you can rest assure that your brand is getting all the attention. If you are looking for increased brand recognition and reach, you should invest in our new wave logo mats. These impressive mats serve as great promotional pieces in trade shows and company events where you are looking to impress many. A rather dull point-of-purchase can become quite alluring if you simply add an element of branding to it. Our new wave mats are just the right fix for a boring stall or counter. These mats are made using high quality rubber material and can be printed with your company's logo or tagline to make your stall pop. You can submit a picture of your choice to get it printed on the polyester knit material mats. These mats are also available in a wide range of colors which you can choose depending upon your brand's color theme. If you are looking for incredible brand promotion at a tradeshow or a promotional event, you can really benefit from our new wave mats that are quite attractive to say the least. On the back of the mats, there is a foam rubber attachment that offers complete comfort and support to the feet. These can be dubbed as great anti-fatigue footrests due to their softness and high quality. What's best is that these mats can be re-used multiple times. If you just wash them with cold water, you will have mats as good as the new ones. 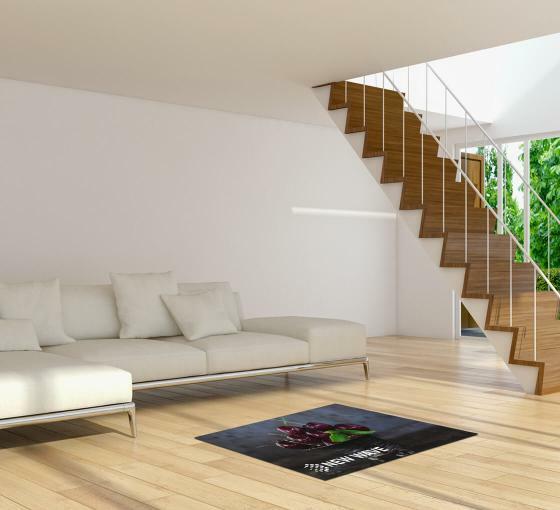 Get attractive mats for your promotional event without any fee for customization! Note: The sizes listed are an approximation. Due to the manufacturing process, exact sizes of our mats cannot be guaranteed. A variance of 3- 5% can be expected on all mat sizes.